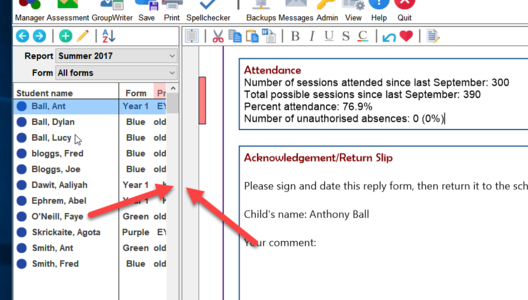 Your administrator can enter in attendance information using a CSV file or you can manually enter or edit the attendance data. 1. 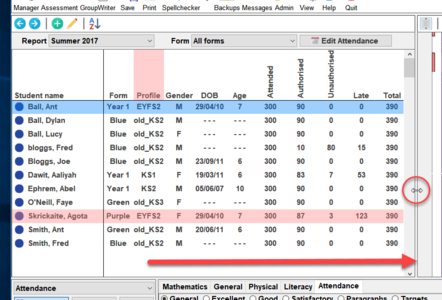 Locate the area between the student list and the editor. 2. The cursor will change its icon. 3. Click your mouse down and drag most of the way to the right. 4. 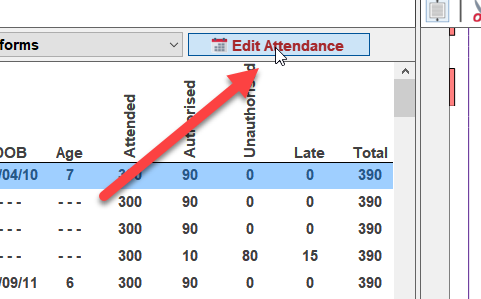 Click the button to start editing attendance. 5. 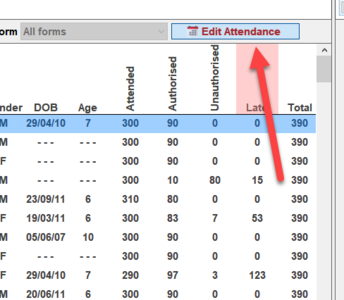 The display will now act like a spreadsheet, you can edit or enter the attendance information. 6. 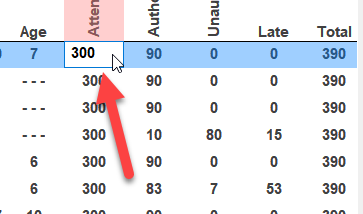 You can right-click and a menu will appear for setting the value for everyone. 7. 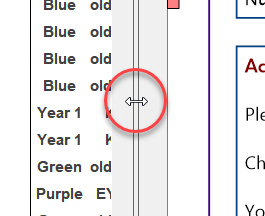 Once complete, click the button again. 8. You will be prompted to save. 9. You will notified once the save is complete. This page was last modified on 14 May 2017, at 14:15.